In 2015, the case of Michael Johnson made national headlines. At the time, Mr. Johnson, a student at Lindenwood University in St. Charles, Missouri and a member of the school’s wrestling team, was arrested and charged with “recklessly infecting [with] and recklessly exposing” multiple sexual partners to HIV. Initially, he was convicted and sentenced to 30 years in prison; however, last fall, that verdict was overturned, and Mr. Johnson (known by the nickname “Tiger Mandingo”) agreed to plead guilty in exchange for a reduced sentence of 10 years. Some HIV experts are saying that is still too harsh a punishment. In a consensus statement published in the July 25 issue of the Journal of the International AIDS Society, 20 HIV/AIDS researchers and clinicians from 16 countries have made a formal argument against laws in some countries that effectively criminalize the disease, prosecuting people who are HIV-positive for not disclosing their disease status, exposing sexual partners to the virus, and/or transmitting the virus to unwitting partners. Their position is rooted in science: Several studies released within the past decade, including most notably “PARTNER” and “Opposites Attract,” have not identified any cases of sexual transmission from a person with an undetectable viral load in either heterosexual and male couples of different HIV status. In addition to Dr. Beyrer, co-authors of the consensus statement include 2 other former presidents of the International AIDS Society (IAS): Julio Montaner, MD, professor of medicine, University of British Columbia, and Pedro Cahn, MD, infectious diseases unit, Juan A. Fernandez Hospital, Buenos Aires. 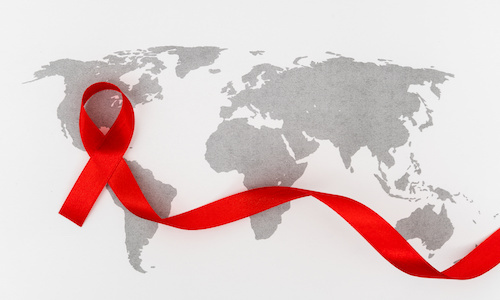 The consensus statement was formally unveiled on July 25 during the IAS’ 22nd Annual International AIDS Conference in Amsterdam. It was endorsed by an additional 70-plus clinicians and researchers from dozens of countries. According to Dr. Beyrer, the genesis of the consensus statement is an ongoing and troubling trend of prosecutions made against people with HIV. Data from the HIV Justice Network cited by the doctor and his colleagues indicate that 68 countries have legally criminalized HIV non‐disclosure, exposure, or transmission, and another 33 countries have applied other criminal laws in similar cases, even those in which no harm was intended, and HIV transmission did not occur and/or was not proved. As a result, in many of these countries, HIV-positive people have been prosecuted and jailed—meaning: that their freedom has been taken from them and that their treatment has been interrupted or discontinued. Worse, in prisons in parts of Asia and Africa, the risk of tuberculosis remains high for the general population—and thus, even higher for those with HIV. These factors can turn a prison sentence into a death sentence for individuals charged under these laws. The authors of the consensus statement note, “these laws and prosecutions have not always been guided by the best available scientific and medical evidence, have not evolved to reflect advancements in knowledge of HIV and its treatment, and can be influenced by persistent societal stigma and fear associated with HIV.” Indeed, recent research cited in the document describes HIV “as a relatively fragile virus” that is not easily transmitted from person-to-person. It also emphasizes that correct condom use can prevent transmission, and that administration of pre-exposure prophylaxis (PrEP) and/or post-exposure prophylaxis (PEP) can prevent HIV acquisition. Hopefully, the work of Dr. Beyrer and his colleagues will be a step toward achieving this goal. Brian P. Dunleavy is a medical writer and editor based in New York. His work has appeared in numerous health care-related publications. He is the former editor of Infectious Disease Special Edition.